The Roomba 980 is iRobot’s latest robotic vacuum cleaner in the famous Roomba Series. It boasts some of the most coveted features in the world of robotic vacuum cleaners. Some of these features include the AeroForce Cleaning System, iAdapt 2.0 with Visual Localization, Wi-Fi, and Voice-Activated Control. To start with, let’s see some of its pros and cons in brief. Being among the best and the latest of the Roomba Series, and a major player in the current market, we had to bow down to the pressure and review this amazing robotic vacuum cleaner from iRobot. 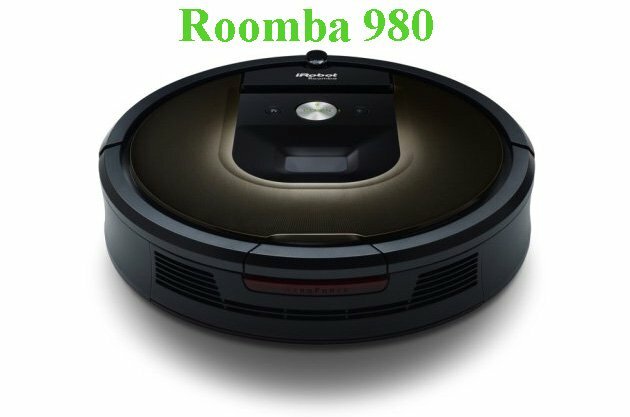 In this article, we have reviewed its top features in detail, its pros and cons and most importantly, our verdict and score of the Roomba 980 when compared to its competitors. Connect and Clean Remotely Anywhere, Anytime! The Roomba 980, just like most robotic vacuum cleaners boasts a compact, low-profile design. Standing at only 3-inches, it is among the most compact vacuum cleaners in the market with the likes of the iLIFE A6 leading the pack. Besides, at 8.7 lbs., it is lightweight and highly portable. The 980 has been crafted from high-grade material that makes the components durable. The user interface is very intuitive and easy to use. It has one large CLEAN button with LED and two other small buttons, one beside the CLEAN button on either side. When it comes to design, we put the Roomba 980 at 4-stars bearing in mind the iLIFE V1 and A6 are less than 3-inches high. Just like the rest of the Roombas, iRobot never disappointed in the Roomba 980. In fact, iRobot did up its game with the Roomba 980. From our experience with it, it is very safe to say that the Roomba 980 is a versatile vacuum cleaner for all your household cleaning needs. First, the Roomba 980 is designed for a wide range of floor types. The vac adjusts itself to suit the floor type it is supposed to clean. You can use the Roomba 980 to clean hardwood floors, tiled, laminate, and even carpet floors. In particular, we liked its action on carpets. If you are tired of these vacuum cleaners that only clean your carpet superficially, then you need to have the Roomba 980 on your wish list. It has deep carpet action that ensures the deepest parts of your carpet are vacuumed and cleaned comprehensively. Besides, it also works perfectly for cleaning pet hair and allergens. This makes the Roomba 980 superior to smaller vacs like the iLIFE V3s and Roomba 880 which were earlier known to be the best in pet hair cleaning. In terms of versatility, we think the Roomba 980 is great and that‘s why we awarded it 5-stars. When it comes to cleaning, the Roomba 980 is just on another level. This vacuum cleaner comes with iRobot’s patented AeroForce Cleaning System with Carpet Boost. This is unlike the Roomba 960 which lacks Carpet Boost. Just like in the Roomba 960, this system also uses a 3-stage cleaning process. In the first stage, specially engineered brushes sweep corners and edges to catch dust, dirt and other debris. In the second stage, the Dual Counter-Rotating brushes grab the swept dirt from your floor ready for suctioning. In the third stage, the vacuum suctions this dirt and dumps it into the dirt bin. The Roomba 980 has been equipped with sides brush just like most recent vacuum cleaners. This brush ensures that no dirt is left in the vac’s trail. The most peculiar thing about this sides brush is that it spins and consequently, pushes dirt and debris into the path of the main cleaning system thus making the entire cleaning process more efficient. There’s also the unique Carpet Boost mode that makes carpet cleaning very easy. In this mode, the vac detects carpets and rugs before using the Gen 3 motor to increase air power by 10x. With such air power, suction is definitely at its best and so you are guaranteed comprehensive deep carpet cleaning. For pet hair, the Roomba 980 adopts brushless extractors which prevent tangling, a major hindrance in pet hair cleaning. Besides, the AeroForce® High-Efficiency Filters ensure capturing of up to 99% of allergens, pollen, and even pet hair leaving you with a room with fresh atmosphere. For cleaning, we rate the Roomba 980 at 5-stars because its cleaning ability is second to none. Another thing that makes the Roomba 980 to stand out from the crowd is the iAdapt 2.0 Navigation System with Local Visualization. iAdapt 2.0 helps the vacuum cleaner navigate seamlessly and most importantly, precisely without hitting obstacles or falling. This mechanism allows for multi-room navigation and entire level cleaning that enables homeowners clean several rooms comprehensively without skipping any area. In multi-room navigation, the Roomba uses a full set of sensors to ensure it has a grasp of how your house is. It is able to know wherever there are obstacles and knows exactly which routes to take to avoid them. This is further backed up by camera visualization for real-time navigation. This makes the Roomba 980 great for high traffic rooms. 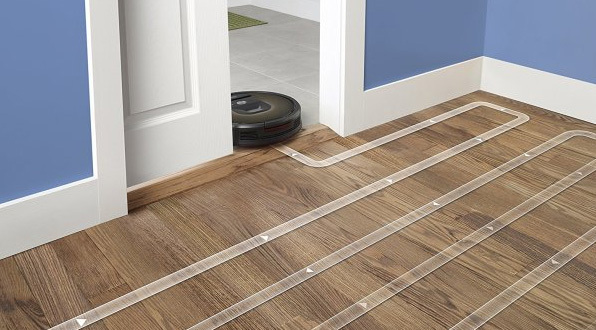 Furthermore, it features Dual Mode Virtual Wall Barriers that helps homeowners manage where the Roomba reaches. This feature lets you keep the Roomba in a particular room until it completes cleaning it fully. There is also ‘Halo’ mode that restricts the Roomba from reaching certain specific areas. Other navigation systems include Cliff sensors that prevent the Roomba from falling off the stairs. Here, the Roomba 980 also scored 5-stars bearing in mind a few vacs have such precise and elaborate navigation. If there is somewhere iRobot has excelled is when it comes to battery life. Roombas also come with self-charging and resume function, the 980 is no exception. When it comes to docking, the Roomba 980 has been engineered to be self-sustainable. This means that it relies on its intelligence to detect when its battery level is low so that it can go to its charging station for a recharge. Once it is fully charged, it will automatically go back to where it left from to ensure it completes the cleaning. 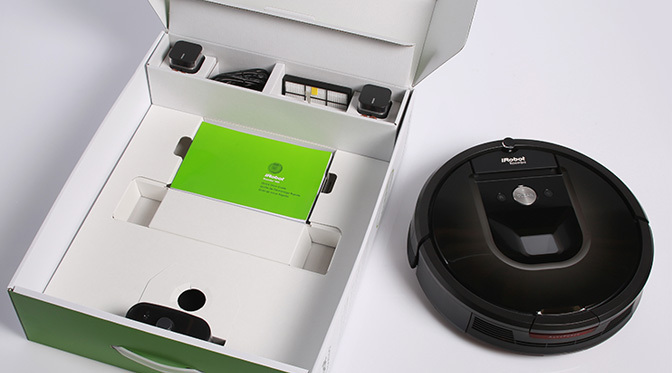 Concerning its battery, iRobot equipped the 980 with a powerful Li-Ion battery that comes with an average of 40% on opening the box. This battery can last the Roomba 980 for a cool two hours. This makes the Roomba 980 superb for large rooms that require more time to clean. However, its shortcoming is that it takes longer to get fully charged thus it may slow down cleaning. We rank its power management at 4.5-stars. The Roomba 980 has been engineered with Wi-Fi and Voice-Activated Control to enable you to clean your house from anywhere, anytime. For such a high-end vacuum cleaner, we definitely expect it to have Wi-Fi connectivity. This allows you to manage and operate the vacuum cleaner remotely. You can connect to the iRobot HOME App via Wi-Fi. On this App, you can start a cleaning session, schedule the vac, receive push notifications, and so on. Here, you can also access the unique Clean Map™ feature that lets you see where your vac cleaned. Another great and modern feature in the 980 is the Voice-Activated Control. This feature makes the Roomba compatible with Amazon Alexa and Google Assistant. This means that you can tell the Roomba 980 what to do and it will promptly respond. Take advantage of the available exclusive offers today to get free Smart Home Consultation. When it comes to connectivity and user convenience, the Roomba 980 deserves 5-stars. It goes beyond what its competitors have and brings on board voice-activated control. For us, there are few things that we found to be really great in the Roomba 980. These features are what make the Roomba rank so well in most review sites as well as in online customer reviews. First, the cleaning system is efficient and effective. You can use this vac on a range of floors and does exceptionally well on carpets. As a matter offact, it has the Carpet Boost mode which boosts air power by up to 10 times to ensure deep cleaning. It also cleans pet hair and allergens. Besides this, it uses a methodical cleaning pattern that ensures the vac moves in straight lines to avoid skipping some parts. Second, its navigation beats most of the vacuums we have around. Its precision is impressive. iAdapt 2.0 is the latest version of iRobot’s Patented iAdapt Navigation. In addition, this system is backed up by Local Visualization that uses a camera for real time reporting. Third, the Roomba 980 offers many conveniences to homeowners. It allows you to schedule it for 7 days straight and manages its power levels independently. With this in mind, you don’t need to be there for the Roomba to work. If you want your robot to be cleaning your house every day at 9:00 am, so be it! 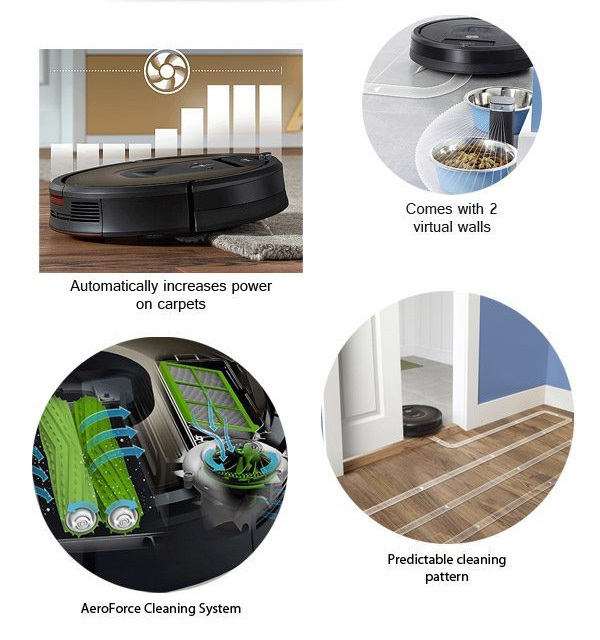 In addition to all these, the Roomba 980 is well connected and gives homeowners the power to do more. 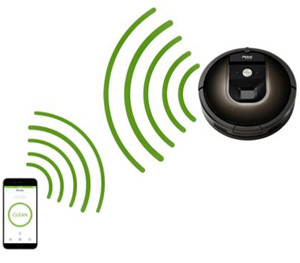 With Wi-Fi connectivity, you get access to the Roomba’s controls remotely. Voice-activated control also allows you to control the vac with your voice. Other features we liked in the Roomba 980 include Dirt Sensors, improved battery life, and Dual Mode Virtual Wall Barriers. Regardless of how promising the Roomba 980 sounds, it still has some flaws. Talk of the two sides of a coin. First, it is quite noisy when working on carpets and rugs. This is mainly because the motor is in overdrive to ensure it generates enough air power. iRobot should focus on how to improve the efficiency of its Gen 3 motor. Or at least adopt some noise-cancellation technology. We also think the Roomba 980 is quite pricey. Its price tag is in the region of $800 which we find to be extravagant for one main reason; you can get a cheaper Roomba for a quarter of that price. The likes of iLIFE, bObsweep and Neato Robotics can offer something similar to the Roomba 980 at a fair price. From the fact that the Roomba 980 is hyped as the best robotic vacuum in the market, it still faces stiff competition in the market. It is worthy to note that most of its competitors base their war in pricing. They try to offer similar alternatives to what the 980 offers but at a cheaper price. Here are some of Roomba 980’s competitors. One of the Roomba 980’s fiercest competitors is the Neato Botvac Connected and that is why we have the unending debate of the Roomba 980 Vs. Botvac Connected. Just like the name suggests, it has Wi-Fi and App compatibility just like the Roomba 980. It also has its own cleaning system and navigation technology known as SpinFlow PowerClean and LaserSmart Navigation respectively. However, LaserSmart is not as effective as Roomba’s iAdapt 2.0 with Local Visualization. 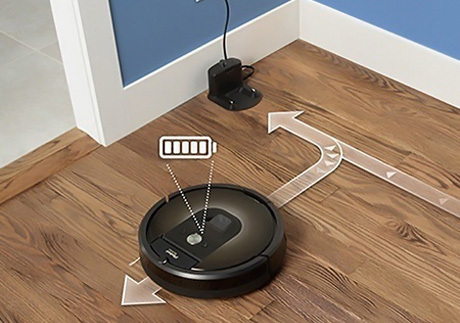 When it comes to price, the Botvac Connected is cheaper and still offers almost the same exact features like the Roomba 980. In fact, the Botrvac Connected is better when you look at its unique features like D-Shape with CornerClever Technology and also the LCD. Another serious competitor of the Roomba 980 is the Dyson 360 Eye, a revolutionary robotic vacuum cleaner that is the perfect blend of aesthetics and performance. First, the Dyson beats the Roomba 980 in terms of sleekness. When it comes to performance, Dyson Eye boasts the more powerful Digital Motor V2 that guarantees powerful suction power. The icing on the cake is the 360-degrees vision that keeps the vac up to date with real time clutter. Even though it is slightly more expensive than the Roomba 980, it is a serious threat to the Roomba 980. If you are torn in between the two, here is a comparison of the Roomba 980 Vs. Dyson 360 Eye. Other major competitors of the Roomba 980 include the Roomba 960, 880 and the 890. The Botvac D3 and Samsung VR9300K Connected also give the Roomba 980 a run for its money. The Roomba 980 has had its fair share of highs and lows as far as customer reviews are concerned. On Amazon, its ratings stand at 4.3-stars after almost a thousand reviews something that is quite impressive. Were it not for the several bad reviews that arise from manufacturer’s defects and lack of resourceful support, it would rank higher. On the other hand, if you focus on the positive reviews, you’d be convinced that the Roomba 980 is a great deal, which is very true. The Roomba 980 is a super-efficient robotic vacuum cleaner that has been engineered to offer convenience to homeowners. It cleans various floors and does exceptionally well on carpets and rugs. Besides, it has a precise navigation system with visual localization and packs several high tech features like Wi-Fi and App compatibility and voice-activated control. All these make the Roomba 980 such a coveted robotic vacuum cleaner. Even though it is quite pricey, it is still a superb vacuum cleaner that should top your wish list today. Buy it and experience robotic vacuuming experience! If you like this article, please rate it. 🥇 New Roomba i7+ vs Roomba 980 – Who is the best of the best? Hi! My name is Richard and I'm owner of this blog. I like new technologies that make our life easier! I've decided writing this blog about smart technologies which help us everyday and I hope you will like my reviews. Some posts may contain affiliate links. Best Robots Guide is a participant in the Amazon Services LLC Associates Program, an affiliate advertising program designed to provide a means for sites to earn advertising fees by advertising and linking to Amazon.com. Copyright © 2018 Robotbox. All rights reserved. Do you want the lowest prices? and we will ping you when the price is at its lowest!